Go back in time to witness how an old red-light district became the city's beloved theater district and how did Lacrosse Field become the biggest outdoor market in Canada and the United States! 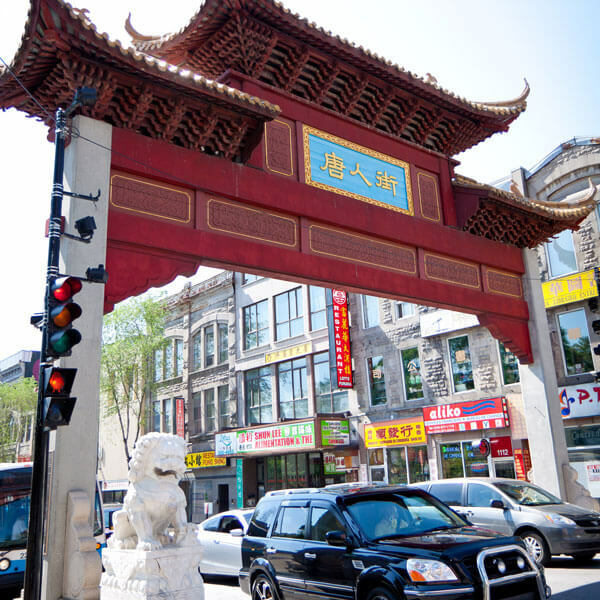 You will walk through Montreal's Chinatown, explore the Mile-End, Canada's most creative quarter, before entering Little Italy. Needless to say, you will be able to experience the rhythm of our multicultural city through St. Lawrence Boulevard's sights, sounds and tastes.